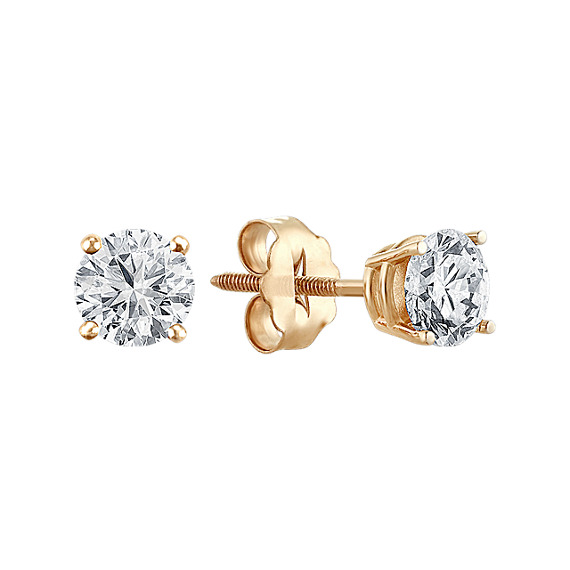 Round Diamond Stud Earrings in Yellow Gold | Shane Co.
Yellow Gold 0.93 total ct. wt. These classic round diamond solitaire earrings are perfectly matched, by hand, for beauty and brilliance. The earrings are set in quality 14 karat white gold basket settings. Safety backs are included for added security.